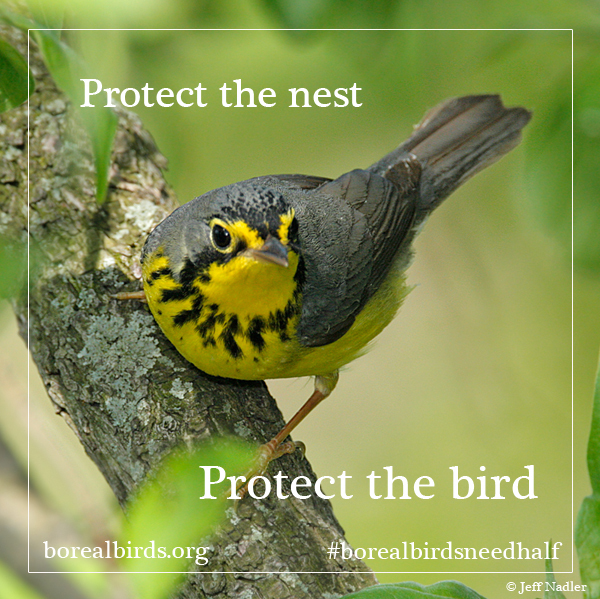 Between 1-3 billion birds representing more than 300 species flock to the boreal each spring to find summer nesting habitat. Once the young have hatched, 3-5 billion birds migrate back south toward their winter habitat—many as close as the U.S. and some as far south as the Tierra del Fuego. More than 1 billion of these birds become common wintering birds that can be found throughout the U.S. This new scientific report takes a closer look at this amazing relationship and what we can do to preserve the hundreds of species that intimately rely on this vast, mostly-intact forest. To provide birds the best fighting chance of surviving the dual threats of habitat loss and climate change, at least half of the boreal forest should be protected from industrial development. This continues the ever-growing research concluding that larger, interconnected protected areas are necessary in order to maintain our planet's amazing collection of biodiversity. See right column for the full report, photos, maps, and other supporting graphics. Our experts are also available for media interviews below. On the go? Use one of our sample tweets, Facebook posts, or tiles to help get the word out! 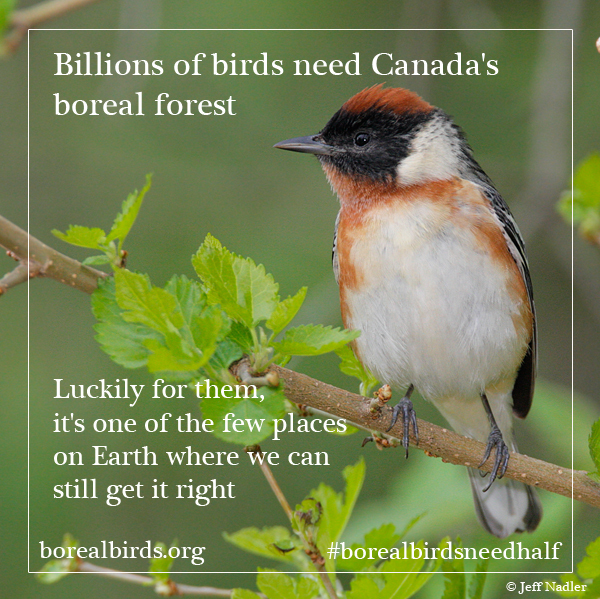 Use the #borealbirdsneedhalf hashtag when tweeting. 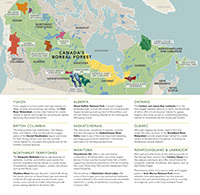 Feel free to give @borealsongbird, @DucksUnlimited, or @ducanada a shout out! 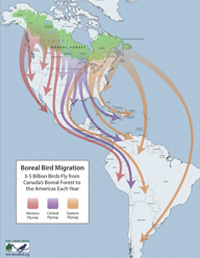 Each spring, an estimated 1 billion to 3 billion nesting birds make the long journey north to the boreal forest from wintering grounds throughout the United States and central and South America. 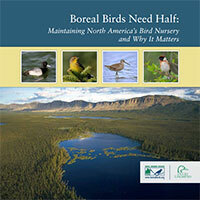 A new report, Boreal Birds Need Half, cites science showing that boreal bird species require expansive, landscape-scale habitat conservation in large, interconnected protected areas to maintain healthy populations. Science shows that conserving half (at least 50%) of the boreal forest provides birds the best chance to survive over the long term. The authors would like to acknowledge Harvey Locke and the Nature Needs Half™ campaign for helping to promote and popularize the scientific rationale behind protecting half of our natural, wild lands. More can be found at: www.natureneedshalf.org. Following the release of this scientific report, a new campaign was created to garner the power of organizations and birders rallying to protect half of the boreal forest. Sign the Boreal Birds Need Half endorsement.